Merle Singer is the principal of CotW and works with a number of independent operators to provide the most effective and efficient solution for you across marketing, people and culture. Merle has a 25-year background in senior leadership roles across multiple disciplines with experience in corporate marketing, leadership, culture & reputation, and global environmental sustainability. Her background spans marketing strategy, marketing communications, internal communications, stakeholder engagement and event management. A strong focus on building out teams, facilitating workshops and envisioning and establishing new offerings that support culture change are the hallmarks of Merle’s work. She holds a BA degree from the University of Cape Town and an Honours and Masters degree in Psychology from the University of Witwatersrand. 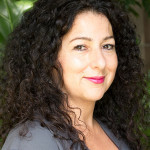 In addition, she is a graduate of the Australian Institute of Company Directors (AICD) and is accredited in several assessment techniques including Myers Briggs Type Inventory, Barrett’s Cultural Transformation Tools and the Hogan Suite of Assessments including 360s. Merle brings a unique blend of corporate knowledge and experience combined with emotional clarity and a passion about people, their potential and the power of culture. She is passionate about yoga, wishes she would finally learn to speak Spanish properly, and travels to exotic locations whenever time permits.